Tiger’s Eye Insurance donated to local Children’s Center Fundraiser. The Children’s Center fundraiser event began with recent state budget cuts. Local low to moderate income families were in danger of losing valuable services. Families enrolled with the Center undergo a qualification process and are then approved or denied a sliding fee scale. As such, the Center and recipients needed the communities help! With the help of over 135 donors from New Milford and surrounding areas, the school was able to raise over $30,000. Now local families can continue to receive a rich learning experience in an environment their children can grow and flourish. Tiger’s Eye Insurance, loves to give back and pay forward! We are here to help our neighbors. 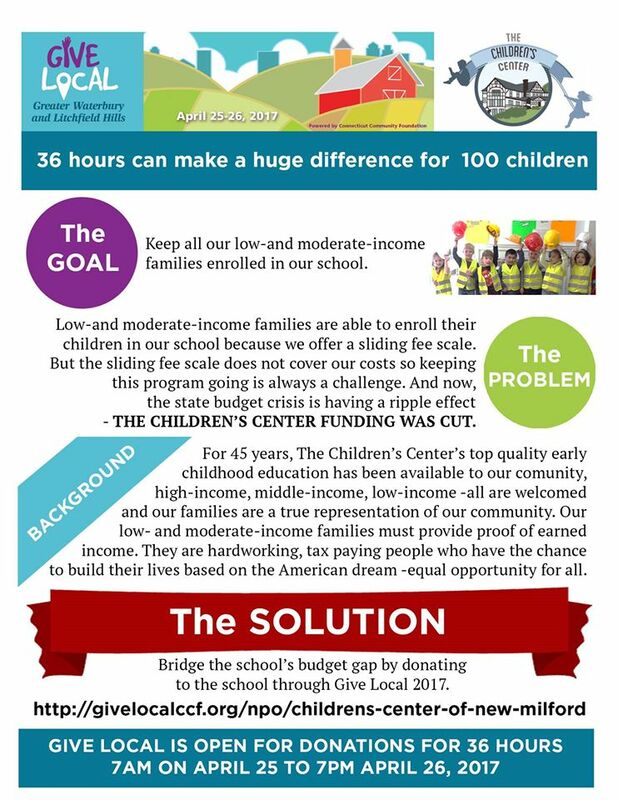 Please visit Children’s Center of New Milford fundraiser page for more information on how you can help too! For more information on the budget cuts in Connecticut please go here State Budget Cuts effect Child Care .